Ahhhh... Relaxing on the lanai! 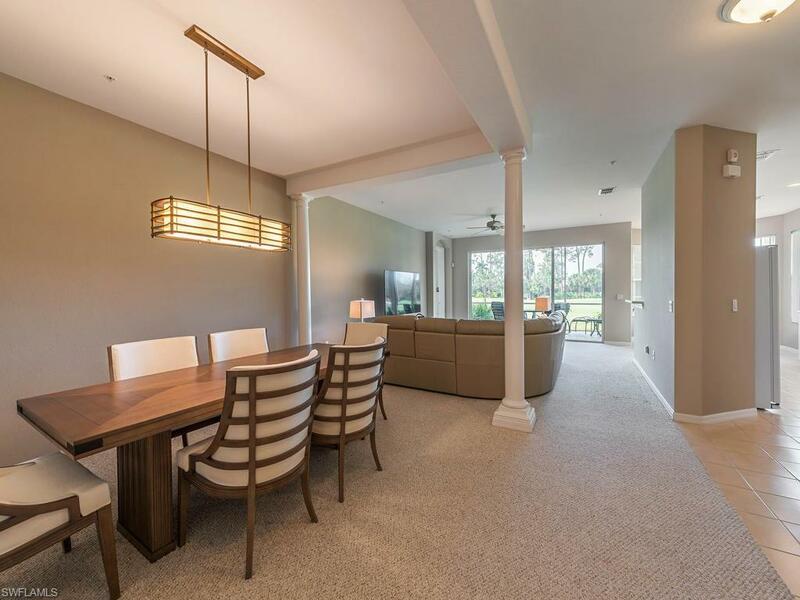 FIRST FLOOR END UNIT with an unobstructed wide open view of the 10th hole, perfect! Not the tee box, not the "slice" zone and no cart path in sight, you're 30 yards to the green in case your neighbor asks if you saw his birdie putt. 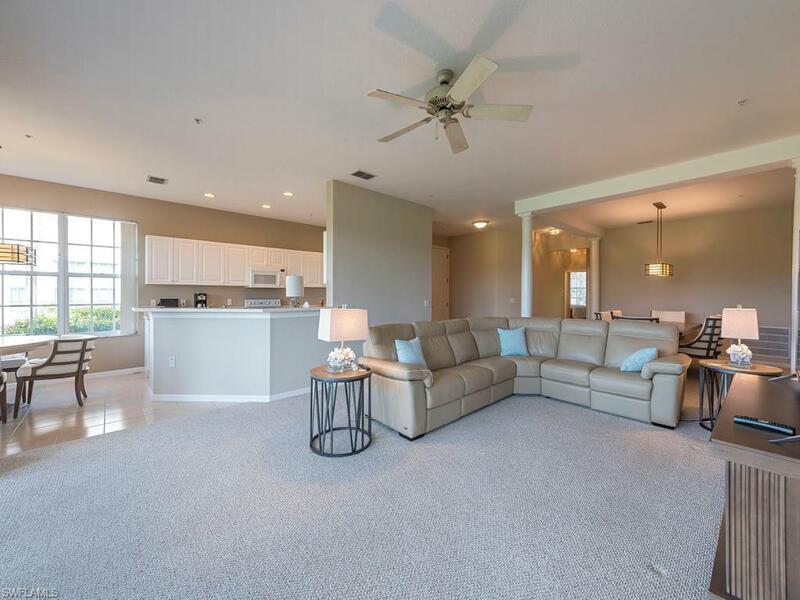 This Montebello model comes Turnkey Furnished and is in immaculate condition. Being an END UNIT it has windows on three sides letting the natural light pour in and with the recent paint, furnishings and fixtures, it truly is Move In Ready! The walk in closet, walk in shower and wide open floor plan are just some of the nice touches that make this unit special. 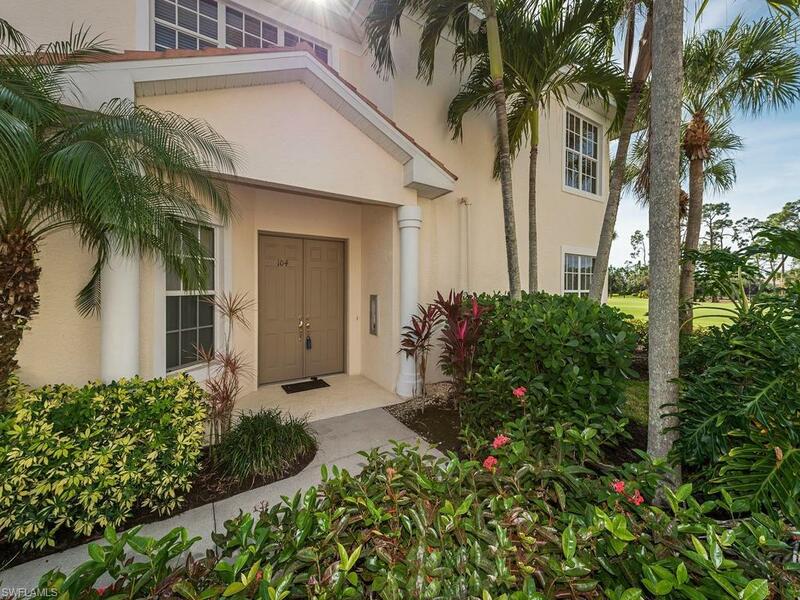 A fantastic lot position located toward the end of the cul-de-sac and steps to the pool. Naples Lakes CC has been recently renovated, both course and club are brilliant! The Arnold Palmer golf course is one of the best, if not the best bundled courses in town and combined with the state of the art fitness center, resort style pool and spa, impressive tennis program, renovated club house and full practice facilities makes this community tough to beat! 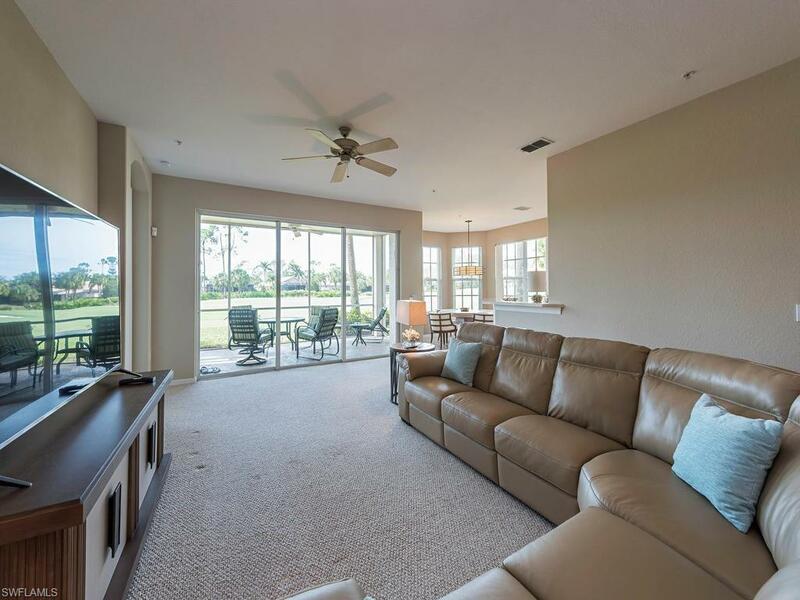 Naples Lakes also allows its members to have private carts, the country club lifestyle at its best!